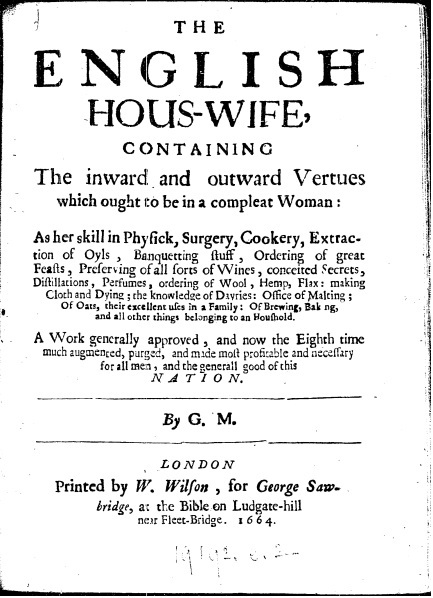 ‘The English Hous-wife‘, 1615 CE, the title Page of Gervase Markham’s seminal collection and publication instructing housewives in all aspects of domestic life, including preparing medicines. Forn Threifa: Ancient Healing Touch, is not a new age or fanciful fiction, but documented healing techniques. Individual households – family lines – each had its own body of tried and trusted remedies, passed down and refined over time. Nor did these hearths stand alone, but were part of a network of extended family, kin, neighbors and kith, who all shared their herbal and healing success and failures. Though a verbal culture (As of Old, so Today), this open line of communication included a great deal of medical information that would eventually find its way into the published medical literature of the day. These latter-day grimoires of medical remedies where meant to arm a household – primarily the women – with sufficient knowledge to treat a range of conditions. These books were faithfully copied by hand, then lent and borrowed, passages shared and annotated, and word-of-mouth remedies included in the margins. In this way, medical knowledge – the Forn Threifa – became readily available to those who could read. The ability to read and write was not common-place. Such skill fell to the Volva and Vitki – the Much-Knowing and Lore-wise within The Lore. Such folk were not involved in mere ‘magic’, but the preservation of Inherited Knowledge from one generation to the next. And such was the value, that the Wise One of yore took on apprentices, or those who were disciplined enough to learn this information. Later, when these Wisdom Teachings were written, they were given as gifts, bequeathed in wills, and collected in larger volumes, entrusted to those who had dedicated their life to preserving these Old Ways. Forn Threifa, the ‘ancient healing touch’, was a collection of recorded remedies and charms (prayers-for-healing), that were used and widely distributed among those who knew the value of keeping such wisdom alive. For when it comes to illness, there is nothing more fearful than being sick and unable to be cured; as such, those with Healing Hands were those who: kept the remedies alive, who were able to read and write, and so able to mitigate potential calamity. As such, Forn Threifa is more than a mere collection of historical tidbits, more than a collection of healing methodologies, but a traditional continuation of the ancient Healing Books so respectfully and dutifully maintained by the Scholar And Seer’s of old. 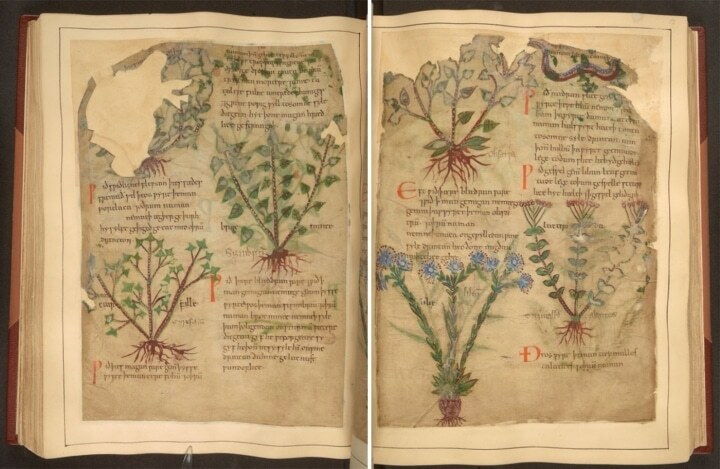 The Cotton MS Vitellius C III, part of the Nowell Codex, an Anglo-Saxon illustrated manual of plant pharmacology and healing methods. This text is 1,000 years old.